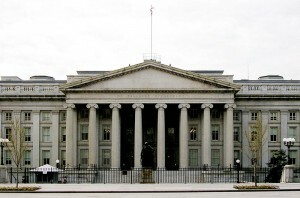 The Treasury Department Building in Washington DC. 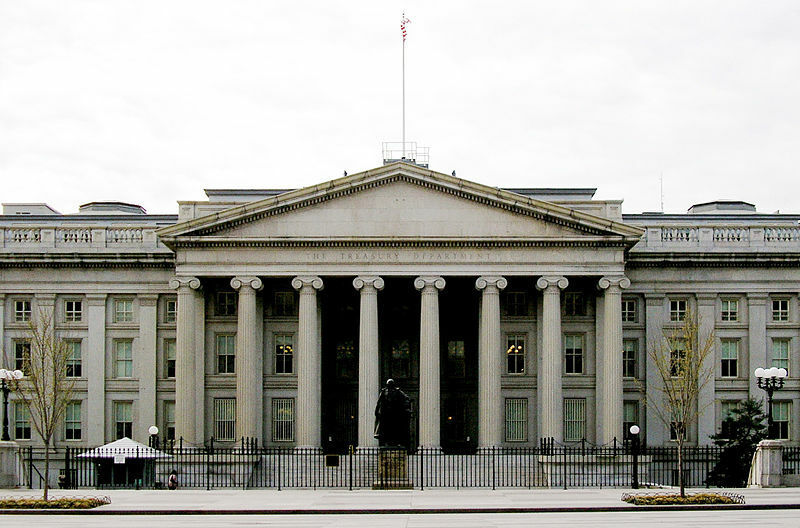 On January 13, the US Treasury will hold a roundtable discussion with the aim “to share the Government perspective on issues pertaining to financial access for MSBs (money services businesses) and to hear from industry,” reported SiliconANGLE. Representatives from the federal government, the regulation community, banking and credit union sectors, and the MSB sector will participate in the roundtable. SiliconANGLE reported that digital currency proponents are determined to ensure that Bitcoin is at the forefront of discussions. Among the groups that have applied for a seat at the roundtable is the Chamber of Digital Commerce (CDC), a Washington, DC-based trade association. In a press release issued Monday, the CDC said that in response to the US Treasury’s Notice of Roundtable Discussion, it formed a Financial Access Task Force to prepare comments. The CDC said in its press release that one of its critical missions is to advocate for adequate access to financial services, which it calls a lifeline to business operations for digital currency and digital asset firms. The Chamber said certain types of Bitcoin and other cryptocurrency-related businesses have been included in the definition of a money services business, and other industry entities have encountered the residual effects when seeking banking relationships. “Companies that are involved in developing and deploying the protocol of crypto currencies or other digital assets – but are not involved in the provision of money transmission or other MSB activities – are being denied access to banking services. At best, this is a tremendous diversion of time and resources. At worst, companies are forced out of business, without having the opportunity to recognize the full potential of the technology,” said Carol Van Cleef, chair of the CDC’s Financial Access Task Force, in the press release. The Chamber is also calling on industry members to take part in a survey to present data to the US Treasury. The survey asks respondents about their experience in trying to open a bank account, whether they have had their account closed, and the nature of their business.